Majestic nature provided inspiration and plenty of healthy negative ions. Boating on Lake Conroe helped some face fears! Fun times on the boat sparked fond memories for some. 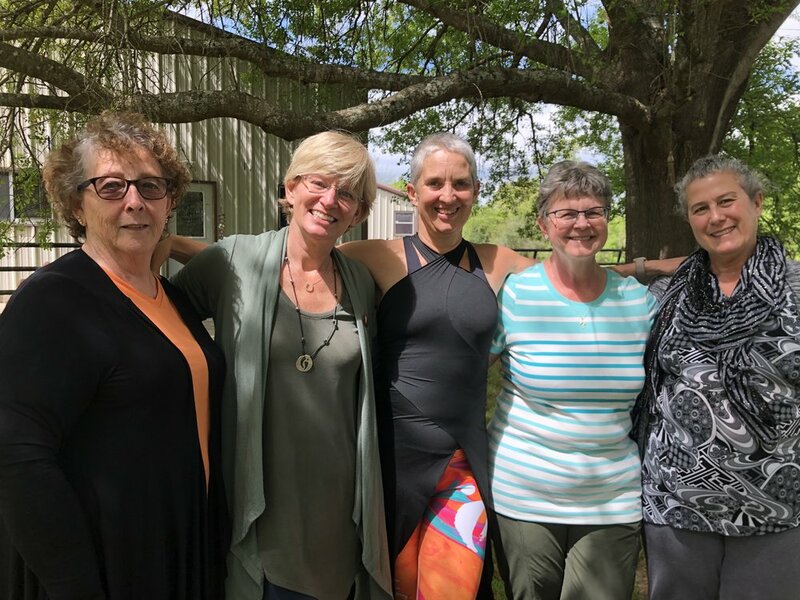 Kathy shared a great "Horse/Nia" workshops "all the Ride Moves"
Nourishing meals served like "food as art"
Spring flowers popping up everywhere! Jane came from Colorado, she’s a published author, specializing in poetry and appears to have an abundant library of works both in her brain and on her phone. What ever the topic Jane would pop up with “oh I have a poem about that” and we would all delight in her sharing. Kathy came from Plano, north of Dallas, Texas. She’s a most accomplished horse teacher, coach and judge and is in the process of writing her first book. Jane presented a “BETA test” of her intro workshop “All the Ride Moves” which combines her knowledge and personalized system for riding with the wisdom and philosophy of Nia Technique. Darlene, recently relocated to Montgomery, Texas. She entered with the intent of continuing to develop her memoir book. 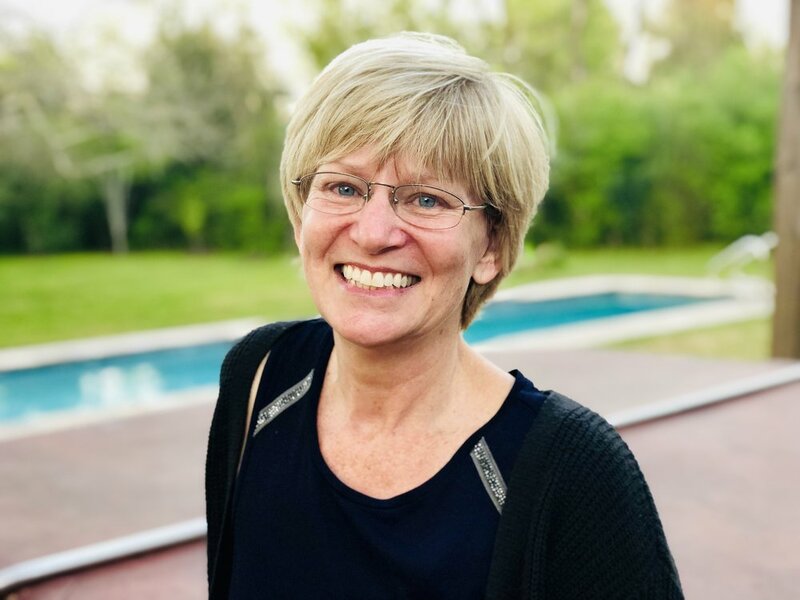 Through the collaborative process of the retreat, Darlene tweaked her direction into writing a self help book that shares the wisdom of both her personal experience, and vast experience in psychotherapy, to provide a captivating, practical, step by step approach to help individuals and professionals. We delighted in sharing meals together around the round table. Each guest seemed to find their favorite “pockets” of space to retreat to for their writing. We enjoyed Texas weather at it’s best with mini field trips each afternoon. 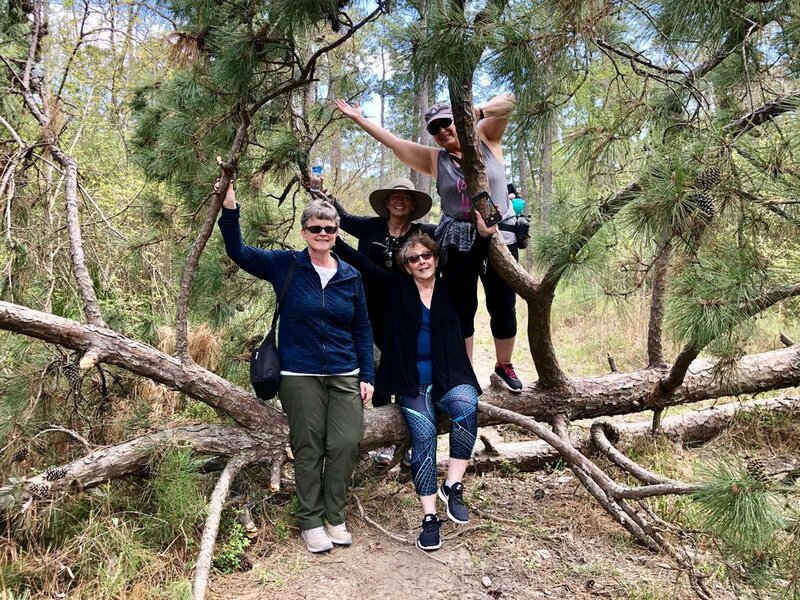 The first field trip was to the Sam Houston National Forrest (within 10 minutes from Soma Ranch), our hike included a gentle stroll with some grand trees to navigate over, and take advantage of the photo op!. 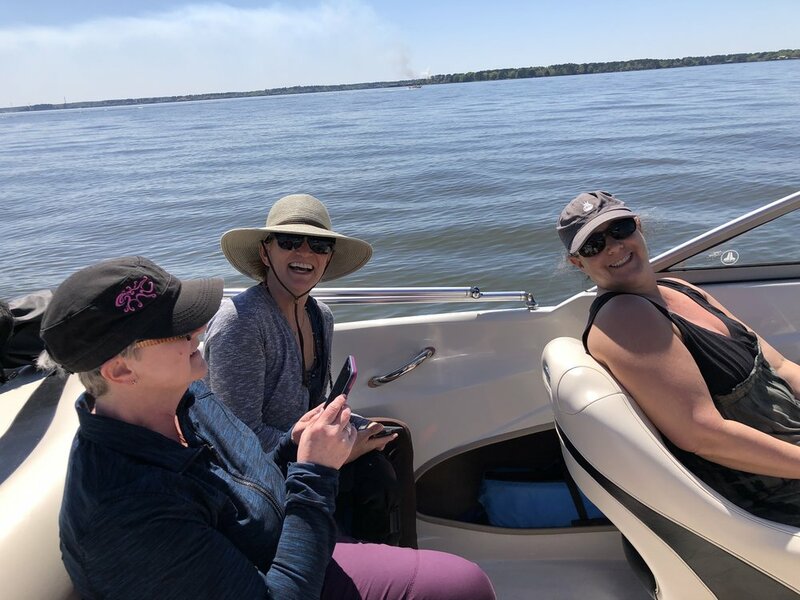 The following afternoon we sent out boating on Lake Conroe which helped invoke memories, creativity and even help one guest conquer a fear in a most healing way. One evening Kathy shared her “All the Ride Moves” intro talk which was both entertaining and educational. Enjoying the super moon with hot tub, open fire, s’mores, poetry and great conversations was a highlight. I used one of my favorite books “The Power of Kindness” for personal inspiration and to included in the meditation parts of class, it helped spur some conversations about what it means to be present, included a fabulous exploration around how presence is to be present, which is a gift, for ourselves and those around us. Joe’s food nourished us though out the week with food that was delicious to all 5 senses, I love his phrase “people eat with their eyes” and how Joe focuses on creating “Food as Art” to satisfy and delight. 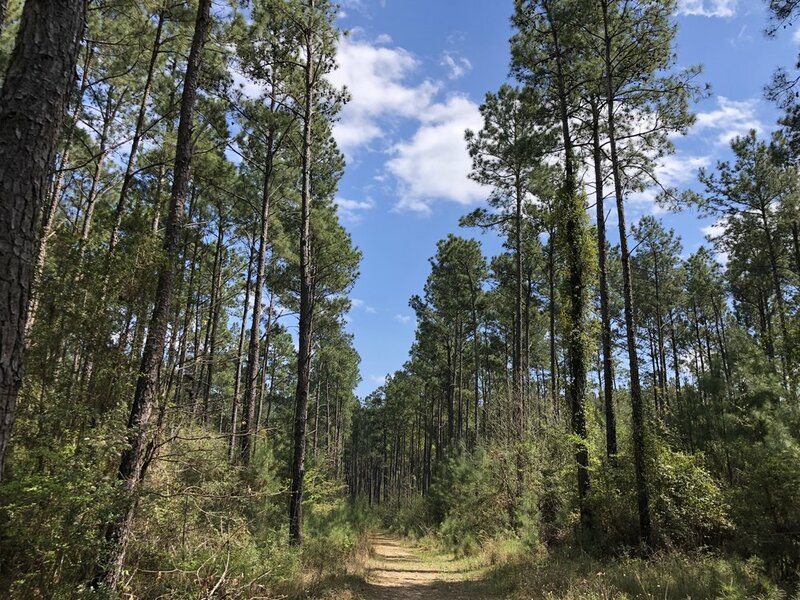 With yet another day of perfect sunshine and warmth we took a stroll around the local White Eagle retreat center, including time for a contemplative walk through the labyrinth. Kathy and Jane had a wonderful time brushing the winter coats off our horses, who happily then pranced their dashing selves! From the most to the least experienced with horses I’m always touched to witness the power of healing through “fooling” with horses. Hànanda (our resident Soma assistance and Nia teacher), who joined us for some meals and field trip, was witnessed doing some extensive clearing on our fence line. 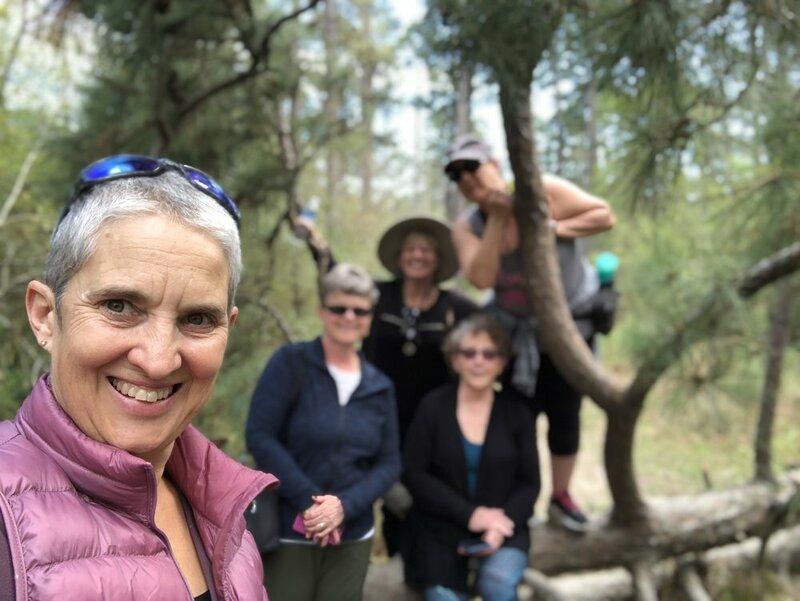 Jane created a poem called “Hananda of the Brambles” which was touching, amusing and most perfect for recognizing the wonderful contribution "Hananda is bringing to Soma. Each afternoon we gathered for our “NEST” circle. This was a collaborative conversation on the couches in the studio building. These special times provided the opportunity for each person to share some of what they’d written. The conversation provided space for us to weave in our personal experience, recommendations and support, like an exquisite nest! it was a beautiful dance full of support, joy and insight. Our last day brought beautiful closure. 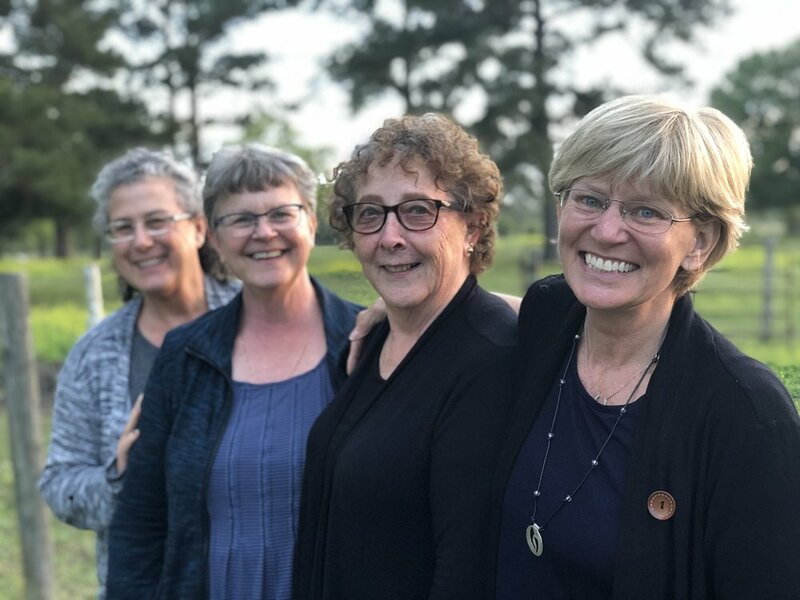 Sharing our appreciation, admiration and love for each member of this very special experience, we giggled over avocado toast, worshiped together at Cowboy church, praised and danced with Lauren Daigle and snapped some fabulous “last” group photos.